For the do-it-yourselfer who has (almost) every tool. 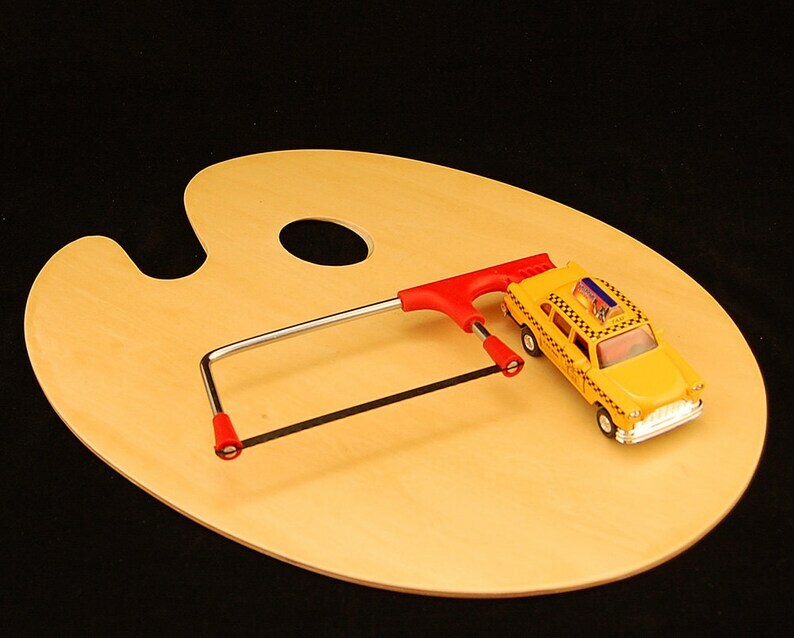 ArtParts: Metal NYC souvenir taxi, metal and plastic hack saw, & palette from 99cent Store. Size: 16" long, 12" wide, 2" high. May be displayed flat or hung. Shipping note: USPS Flat Rate Box to USA addresses only. Sorry about the postal limitations.